The split heel spike feel almost like house slippers with spikes. It’s a pity that these were not the prototype released. The full length plate spike is essentially as if you’re wearing a sprint spike. My calves feel like puddles of water after running repeats in them. It’s far too aggressive for anything over 800m. The second spike from top is also a great prototype. It’s aggressive, but somewhat cushioned. Where does the model that was actually released fit in here as far as aggressiveness/comfort/cushion compared to the others? About 3rd place. That split heel spike is the ULTIMATE by far. Could you show us the tops of those beautiful spikes? mostly the split heel ones? Man, great job on those yellow og’s! Very cool! Which colorway is the OG Vic on the right? An eastbay exclusive if im not mistaken. Yep you’re correct. I believe they were the very first eastbay exclusive. Been a long time since I got all of these in one spot. 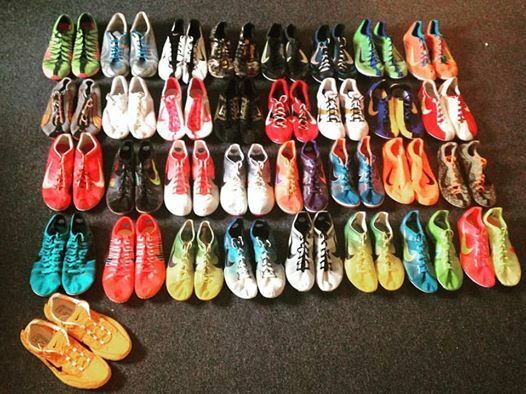 What are the pairs on the 2nd row on the far right and 2nd from the right? Jasaris? 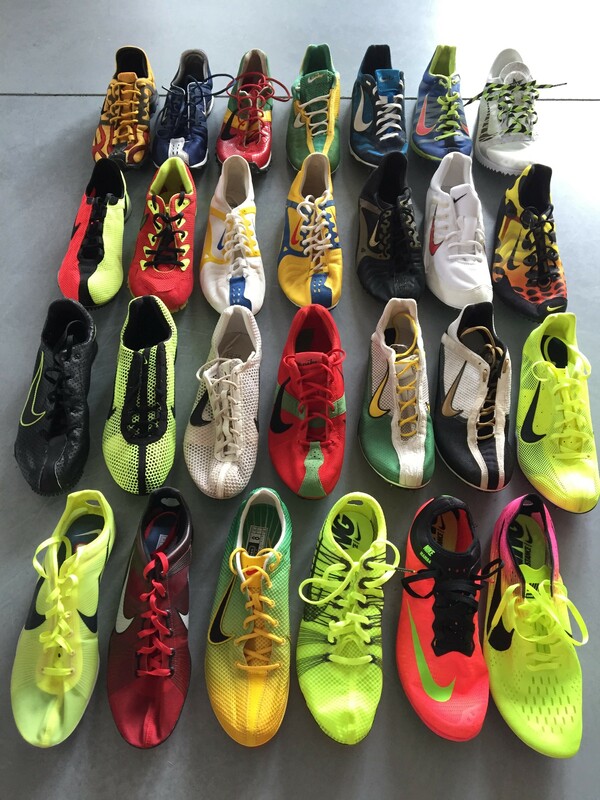 Been a while since we have seen a collection with spikes from the Miler generation and its predecessors. Yes indeed! They are both customs, picked them both up a few years back. 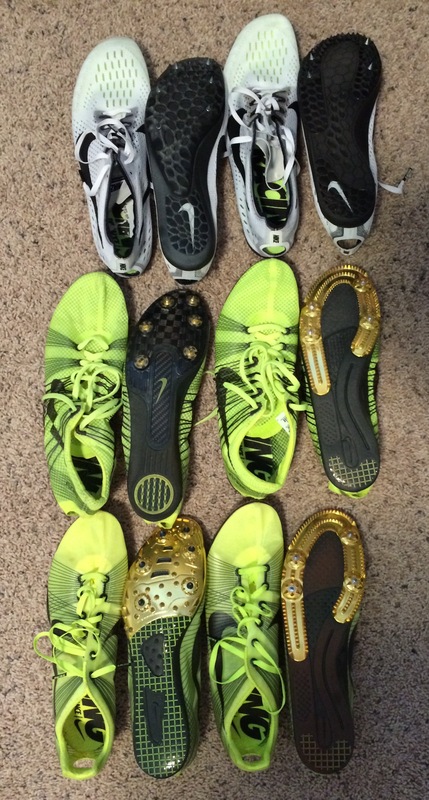 I think some of you were a bit curious, others wanted to know, … so here’s my (rather small) collection of spikes. I could do a similar one with racing flats as well if needed…? some still bn(ib) others at least tried out 1x. 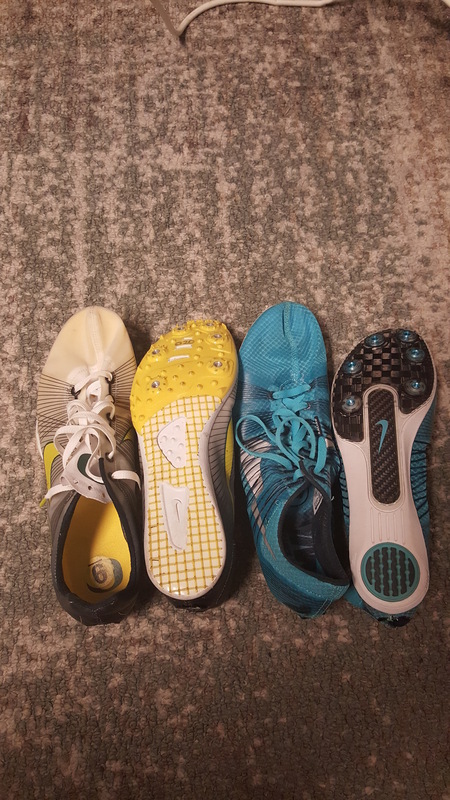 Those white nxn’s and the elusive volt og mamba! It’s like seeing Bigfoot…are those Ethio vents? !